I don’t know how about you and how your summer’s been going, but it always is such a fun, busy time! It seems that everything happens in the summer and by the end of August I’m just feeling a bit, well, knackered! I do hope that you’ve been taking it a little calmer and you’re not quite as frayed as the edges as I am. 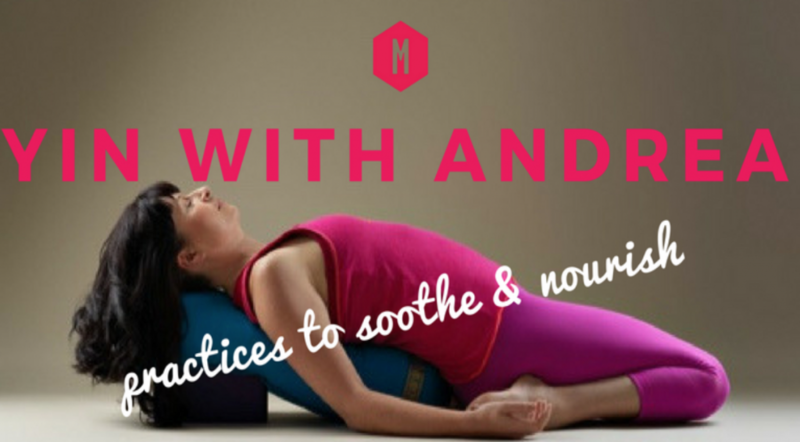 But just in case your summer has been hectic, Andrea Kwiatkowski, one of my favourite teachers in the world, has come up with this beautiful Yin Yoga Course to help us all to relax and ground ourselves after a busy summer, and to help her students to integrate their practices which they’ve developed on retreat. Included in the course is Andrea’s really beautiful new class, Alchemy Yin, which I really hope you enjoy. The lovely thing about Yin yoga is that the poses are held for a matter of minutes rather than a breath or two. 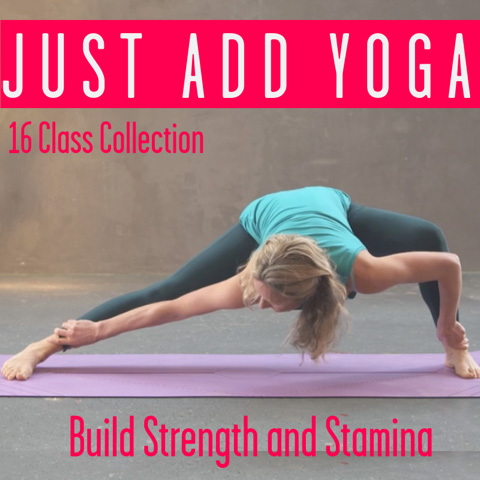 And a long hold means that we can really settle into the feeling of the pose, soften and work with a deeper breath, and it calms our nervous system as well as building flexibility much more effectively and safely than fast vinyasa classes. You’ll be surprised at how effective so-called gentle Yin poses are at progressing your shapes in more yang styles. Yin poses are all based upon the Chinese medicine system so they specifically target internal organs which govern our health and how we feel. A fascinating area to take a look into, and Yin yoga is such a lovely way to actually experience all the benefits of working with the organs. 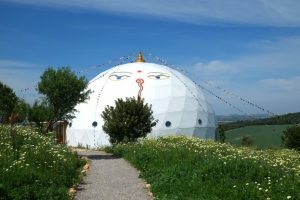 For even more relaxation – Join our retreat! I do hope you take a look into our newest Yin Yoga Course with Andrea – and if, like me, summer has really left you feeling a bit depleted and in need of some proper replenishment before the winter, I do hope you’ll join us on our retreat – details have only just been released and it’s already selling fast – so do be one of the twelve lucky Movers who’ll get to join fabulous Lucy McCarthy and team MFML on retreat.